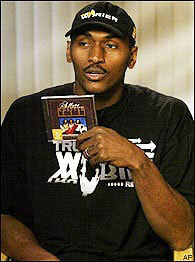 Ron Artest makes it too easy. Make sure to pick up that CD! Mid Atlantic Rasslin Tribute - Not really, but some cool pictures of championship belts. What is there to say about a movie with a pretty title such as this? This gem is filmed in German although it takes place in New York. Gay men are being killed by having their penises removed. Hilarity ensues. Come for the giant puppet condom with teeth, stay for the odd couple team of a drag queen and hard nosed Columbo-type gay detective. The second and oft-forgotten album from one of Wu-tang's most consistent off shoots is solid from beginning to end. This album marks the first time that all six emcees are united for and entire album (Islord had been in jail during the recording of the first album). The result is a more mature album that strays a bit from the military imagery on songs such as "5 Stages of Consciousness," "Where I Rest At," and "Galactics." 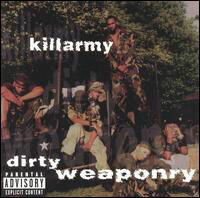 The group, consisting of emcees 9th Prince, Killa Sin, Dom Pachino, Shogun Assason, Beretta 9, and the aforementioned Islord, flexes it verbal prowess over some sweet 4th Disciple beats. This album initially disappointed me six years ago when it came out but it seems to have aged better than the first and is much more consistent their third and final album which seemed to make some awkward attempts at going mainstream. Whatever, this album is solid from beginning to end and contains some of the best emcees around. Origin - A variation by C-Dogg Ho Mackah. Usage - "Dude, that yahtzee I was with last night was kind of a coug." "Dude, was she a tight little shceunter?" "Dude, right arm. She was throwin' bones in the club while she was going bananas." 08. Someone left a turkey carcass on my porch with a sign on it that said "this represents what is left of your dignity and self respect"
05. I'm stuffed.... with stuffing! 01. Ready to look forward to the most Xtreme Xmas ever!